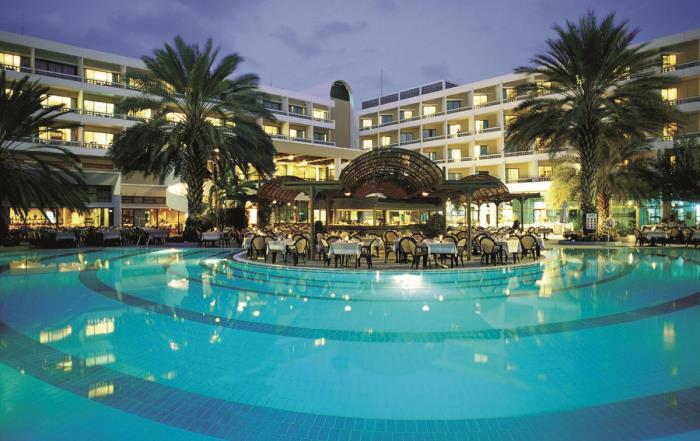 Paphos is probably the most popular resort in Cyprus. It is the most ancient town on the island, a former capital, a monument of history and life. Almost every rock in Paphos is included in the official UNESCO list of cultural and natural treasures of the world's heritage. Paphos has plenty of green alleys, fruit groves, pine forests, an exotic park, traditional taverns, and luxury hotels, rocky and troubled sea. Paphos is a resort for well-off people, mostly the ones planning the vacation without children. On the contrary, some prefer to come here with large families, as Paphos is an incredibly beautiful, calm and significant. There are a lot of fresh fruits and vegetables, the biggest Zoo of the island and a rocky masterpiece of nature, Avakas Gorge. For that reason, it is absolutely impossible to find an apartment or a villa by the sea. In addition, there are no beaches that could be reached within the walking distance. But if you drive a couple of miles to the west, just aside from the banana plantations you will see a chic "Coral Bay" - the most famous sandy beach of Paphos with sun beds, umbrellas, water sports rentals and restaurants. Close to the beach there is a real lighthouse. You can walk to the waterfront and have a look at the ancient buildings of the Old Port, take a walk in the local market where local goods are sold. In hotels, no matter how many stars they have all the rooms are very similar, and breakfast and dinner, though delicious, will not be able to convey all the charms of the national cuisine. Renting an apartment in Paphos will enable you to find out more about the town and traditions of the local people. In case you decide to rent a car, you can build your perfect route of sightseeing tours around the island. In general, a starting rental price for an apartment in Paphos starts from 45 Euros. So the rest is up to you whether to choose a house with a pool, a garden or a villa apartment with large terrace, drowned in flowers. The rental property prices are relatively low in Paphos due to a remote distance to the sea. The entire tourist season in Paphos does not stop throughout a year. And the city itself is an attraction of a kind, with all its streets, shops, taverns and people.